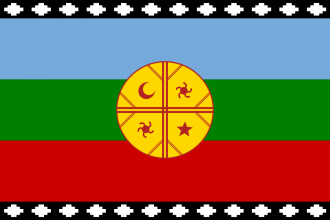 Mapuche is a South American native country. It does not border any other countries in 1444. It is the primary nation for the Mapuche culture. Historically, the Mapuche fought the centuries-long Arauco War with Spain, as well as various previous encounters with the Inca. Mapuche has 2 historical events (from /Europa Universalis IV/events/flavorMPC.txt). The enemy's forces are growing, and we need to choose a 'toqui', a wartime chief, to lead our troops. Caupolicán is an extraordinarily strong man, but he has little experience with the enemy. Lautaro has served as an auxiliary to the enemy's cavalry and he knows much about fighting the conquistadors but he is not as strong as Caupolicán. No matter who the council chooses, you have the final say. Who shall be our toqui? Mapuche gets a general named “Caupolicán” with a skill of 3 shock, 2 fire, 2 manuever and 3 siege. Lautaro with his insight in fighting the enemy. Mapuche gets a general named “Lautaro” with a skill of 2 shock, 3 fire, 3 manuever and 2 siege. The battle between us and troops of the Inca Empire occurred between the Maule River and the Itata River. Their borders are though far from us and there is a chance that we will escape Inca rule. We have for the first time met people with a clear state organization and it has opened our eyes. The battles between us and the Inca have given us an awareness of the difference between them and us, what distinguishes us and the invaders. We have realized that it is time to unite and form something that will protect us from the Incas and other invaders. has knowledge of, has a truce with or is at war with Inca. Fear and interest will unite men. Have a good strategy for Mapuche? This page was last edited on 16 April 2018, at 20:01.